Yesterday, I was walking back to my dorm. My backpack filled with binders and school supplies bounced against my spine, straps secured over my shoulders. The summer heat and classic southern humidity filled the atmosphere, making me hurry towards the air-conditioned building: Ridgecrest South. It loomed in the near distance – students exiting and entering in the always moving throng of a college campus. As my feet transitioned from grass to pavement, a fluttering movement caught my eye. 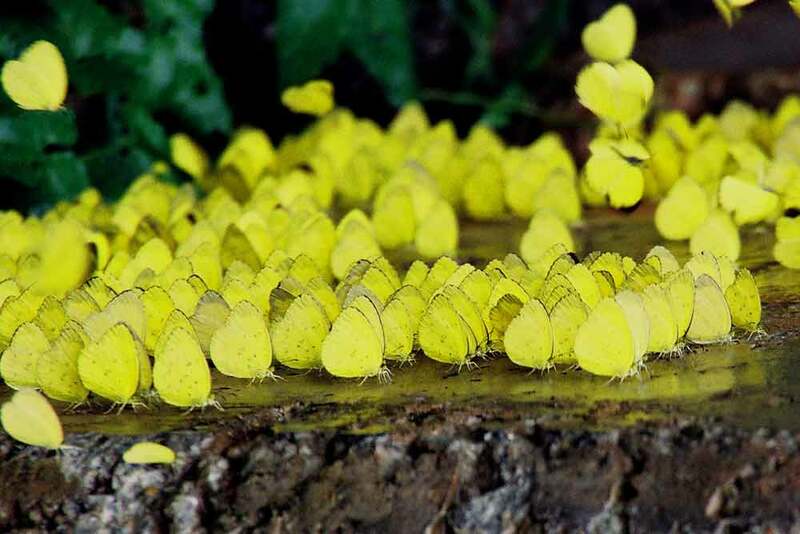 Flitting across the grounds, were tiny, adorable little butterflies. Their cheery neon-yellow color bestowed of their vibrancy for life, drawing a smile onto my face. I hope the title of this post is beginning to make sense. Today, it was like all of the things that have occurred – which I will go in more detail to – came together in a perfect masterpiece and a lightbulb hit me. Sometimes in life, changes happen, and you’re thrown into it wondering how am I supposed to do this? That’s sort of the season I’m in now. College is a huge difference, going from a homeschooled-Christian environment to a large, secular university; an introvert entering one of the largest colleges. Kind of crazy. The past week or so, several events have happened. Little things, that you might not assume were connected if you weren’t looking for it. For me, even though I did not realize it at the time, the connection started one afternoon. I was walking and suddenly, one of my professor’s called my name – saying she wanted to speak with me. She assured me that I was not in trouble, before referencing a piece of work I had done. With my response, she told me about the church she and her husband have been attending for the past few years. “They have a great college program,” she said, suggesting I should come and visit. I thought it was amazing that she was a Christian: even though her class is my hardest, she’s my favorite teacher. After I learned all of this, I instantly knew why she has been my favorite. Even though I did not know it at the time, I believe subconsciously the Holy Spirit was telling me that the same spirit that was in me, was in her. I don’t know about you, but I think that’s pretty AMAZING. SO. COOL. After class, I headed to the Student Center so I could pick up a package. There were a couple of students in front of me, though not many. When my turn came, I handed them my Action Card and signed off on it, during which they went to get my package. They handed the cardboard box, and I walked past the glass doors to where a gray shelf/table jutted out from the wall. Placing the box on it, I grabbed my cellphone and checked Facebook (as every good millennial would do xD). That’s when I saw I had a notification. 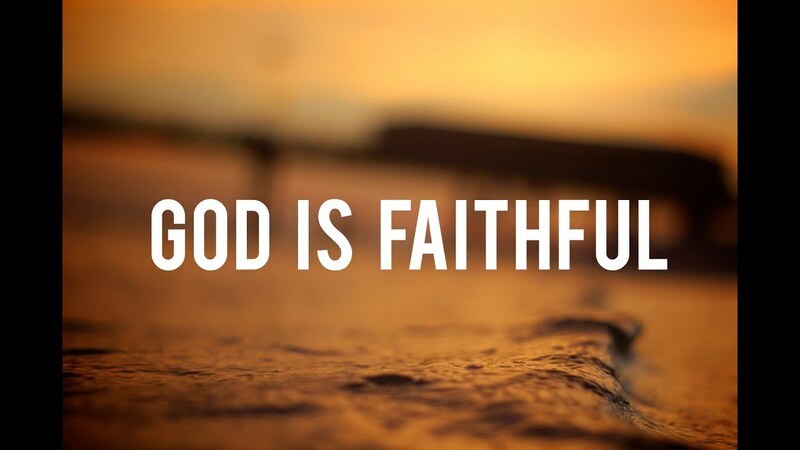 Take a wild guess as to what the overall message was about…God’s faithfulness. My friend, Ane, was going to be sharing in my mom’s Bible Study about how God had been so faithful to her (side note: Ane, you seriously need to start a blog! Your story is amazing). Obviously, I’m not in my hometown right now, so I couldn’t be there. I was so glad she had sent what she was going to say to me! As I finished reading it, all the pieces clicked and I realized how faithful and loving God has been to me. This past weekend, I went home. On Sunday, I headed to church (albeit very late SORRY, thank goodness God can work through all of our faults! ), and saw Mrs. Jane. I greeted her with a wave and hug, before heading into the sanctuary. When the service was over, she approached me and we started to talk. I told her about college, and some of the changes I was having to get used to. Honestly, I can’t really explain the friendship I have with her. I suppose the simplest way, would be that it is completely brought together by God. He has made us kindred spirits. She prayed with me, before I left. One of my mom’s friends, Mrs. Elizabeth, has been so sweet to me. This past summer I had the opportunity to house-sit her home and watch her silly, cute pets while she and her family were away. I was really grateful for the chance, and as I’ve started college, she has been faithful in praying for me. Knowing the wisdom she has, I’m so grateful for that! She sent me two packages and a letter, which I was gratefully surprised by! The package I mentioned earlier, was from her and contained beautiful, delicious sugar cookies in the shape of Dogwood blossoms/flowers. Then there’s the cards from my grandparents and aunt with Starbucks gift cards (I’m pretty sure I live off caffeine nowadays xD) – a wonderful surprise that brightened my day. On Tuesday, I met with my English teacher and she was so encouraging to me! She strongly encouraged me to consider majoring or minoring in creative writing. Yesterday, someone from BamaCru – a Christian organization – texted me, asking if I would like to get lunch or coffee. Isn’t it amazing, how God orchestrated everything? I’m so humbled that He loves me like that! If you’re experiencing a time of change or are in a place where you don’t know what you’re doing, I would encourage you to ask God to pray for Him to show His love to you, for you to experience kisses from the Prince of Peace. Sometimes we forget, but as believers, we are His children! He delights in giving us good gifts! Alright y’all, so I’m not really sure where I’m going with this blog post 😉 I’ve had a couple of ideas and thoughts floating around in my head, and figured I might as well try to put them into a cohesive mix-up of words and phrases. Lord willing, this will come together as some sort of bloggie post that flows and doesn’t sound like a random jumble of mashed-up craziness! I’ve had some experience babysitting, and there was something interesting I noticed. When I asked the boys, who their favorite characters were, they almost always referred to the “bad guys.” They had the good guys too, but normally, they seemed more drawn to pretend-play with the darker, powerful foes. This surprised me. I have a brother, and I always remember him loving characters like Luke Skywalker, Spider-Man, and other heroic people/beings. When I came home, I told my mom and asked her what she thought about it. Why did they seem instinctually drawn towards the opposing side? What was it that caused them to be more enthusiastic in that? Here’s what she said: little boys are often drawn to the darker characters because they are portrayed as powerful and strong. She told me that with Brayden, my younger brother, she always encouraged and pointed him towards the good characters. She would not buy him all of the Darth Vaders, Jokers, or overall villainous toys. She wanted him to strive to be like the heroes. Not perfect, because no one is, but trying their best to follow truth and do what is right. I know some of y’all are probably thinking I’m going to the extreme end of things. But, I do not believe I am. Because I have a brother, I understand that boys love to play-fight – cowboys and Indians, the Dark Side and the Light Side. There is nothing wrong with that, and I am definitely not against it – nor am I against a child having both the good and bad characters. After all, without an antagonist, victory would not taste quite as sweet and neither would justice be as preciously guarded. But I believe it is very important for parents to make this distinction: encourage them and point out the cool and awesome qualities in the good guys. Yeah, it might sound silly, but fictional characters – especially for children – are critical. They look to them for inspiration and hope. Jesus used parables and stories to convey truths. If our Savior did, then does that not show the high value and impact that stories can have? Children learn through play, and fictional characters are a huge part of that. Rather than consistently being drawn to the powerful yes, but also opposing what is true and good, characters, should we not encourage them to look at the ones seeking after righteousness and truth? For boys to be brave like Luke Skywalker, loyal like Harry Potter, and compassionate like Aragorn. 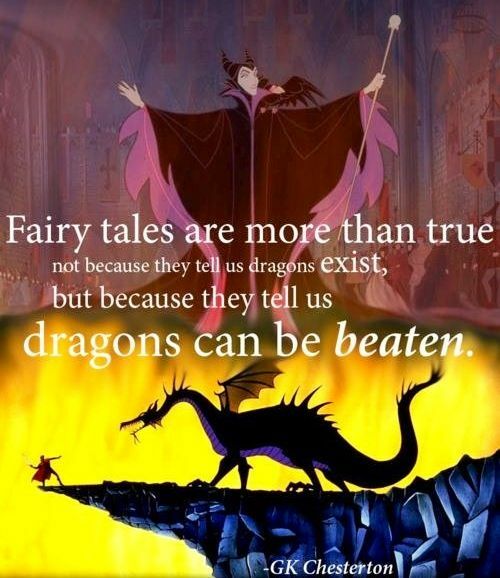 For girls to be as loving as Padme Amidala, have faith like Lucy Pevensie, and hard-working like Mulan. For teens to look at Darth Vader and know that redemption is possible, to remember Natasha Romanoff and how your past does not define you, and to look at Finn from Star Wars, Emma Swan from Once Upon A Time, and remind themselves that even heroes experience fear and doubt their abilities. Maybe I’m way off the mark here, and this is all just a silly theory running around in my head. Who knows, this could all be mess concocted together late at night. Whatever you read and watch is bound to have some affect on you. I am not saying that if you watch a TV show with a villain, or read a book with a dark wizard, that you are going to flip a switch and turn evil – FAR FROM IT! Without antagonists, any story would be quite boring and basic. There would be no challenge for our hero. With that said, as I stated earlier, children’s minds are still developing. I’m not a parent, but I have a pretty awesome mom and dad. And they always made sure to make the distinction between enjoying the story, and praising the villain. I can never remember hearing as a child, oh look how cool Palpatine looks with his Force lightning! Isn’t the White Witch’s outfit awesome? As children grow and mature, then the conversations can obviously go deeper and you can tease, joke, or comment on scenarios that you would not have done when they were little. Like I said, I’m not a parent, but I think encouraging and pointing kids towards healthy, heroic role models whether in fiction or real life, is important.